The availability of addons ,themes and plugins are the most attractive features of Firefox web browser . Authors of the addons rewrite their product with each major Firefox releases .The recently released Firefox 3.5 was a major update .So now few non updated addons and themes gives error messages and incompatibility issues .But majority of users will not be in a situation to compromise on the new fastest Firefox version for this addon facility . 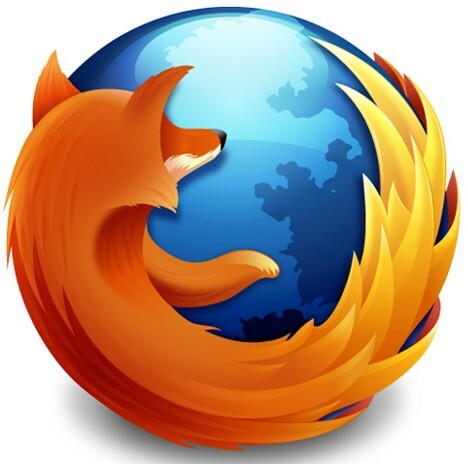 So here is tip that would help you to Install old Firefox 2 and Firefox 3 addons and themes on Firefox 3.5 . In the URL bar, enter about:config and hit enter . I promise , I will be careful . Now right click anywhere and select new Boolean from context menu . 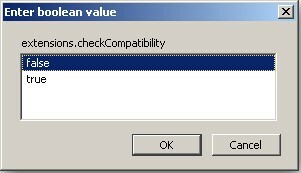 Enter the preference name as extensions.checkCompatibility and hit OK.
Now set the Boolean value as False . Now onwards Firefox 3.5 will not check addons and themes for incompatibility issues . So you can install old extensions if they are not still supported on the browser to some extend .